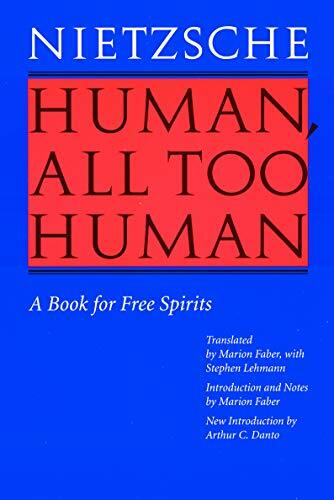 [PDF] Human, All Too Human: A Book for Free Spirits, Revised Edition | Free eBooks Download - EBOOKEE! Description: "Offers dazzling observations of human psychology, social interaction, esthetics, and religion. The book is one of the best examples of Nietzsche's ability to unmask the essence of social reality and expose the origins of our illustrations". ("New York Times Book Review"). "An excellent [translation] - accurate, lively, and in places even elegant. Here his style as an epigrammist comes to full bloom. This book is not just for Nietzsche students and buffs perceptive and intelligent readers of all sorts can relate to his unencumbered and oft acerbic analysis". ("Choice"). This English translation - the first since 1909 - restores "Human, All Too Human" to its proper central position in the Nietzsche canon. First published in 1878, the book marks the philosophical coming of age of Friedrich Nietzsche. In it he rejects the romanticism of his early work, influenced by Wagner and Schopenhauer, and looks to enlightened reason and science. The "Free Spirit" enters, untrammeled by all accepted conventions, a precursor of Zarathustra. The result is 638 stunning aphorisms about everything under and above the sun. Introducing this "New Bison" Books edition is Arthur C. Danto, Johnsonian Professor Emeritus of Philosophy at Columbia University and the author of many books, including "Nietzsche as Philosopher". No comments for "[PDF] Human, All Too Human: A Book for Free Spirits, Revised Edition".